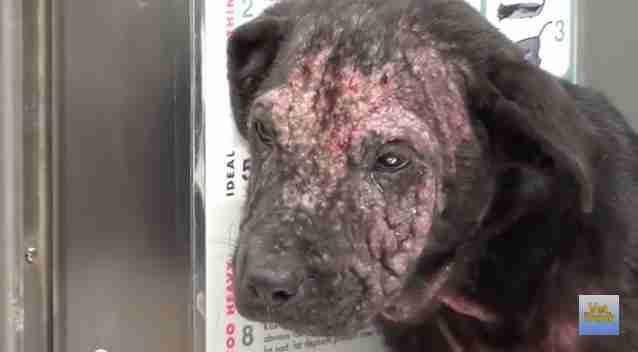 When Kristy was first pulled from an animal shelter by a rescue group, she had been homeless and suffered from a severe case of mange. 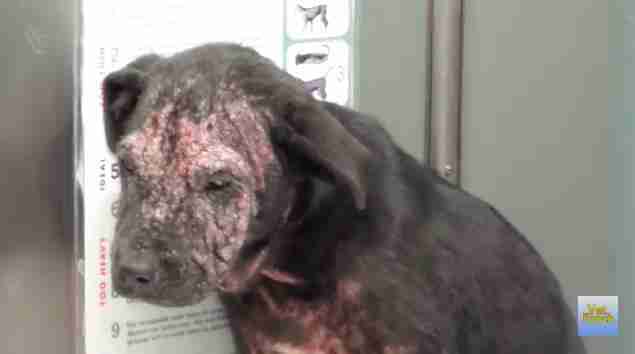 Her skin was covered in pustules and she'd already lost so much hair, vets couldn't determine what breed of dog she was. 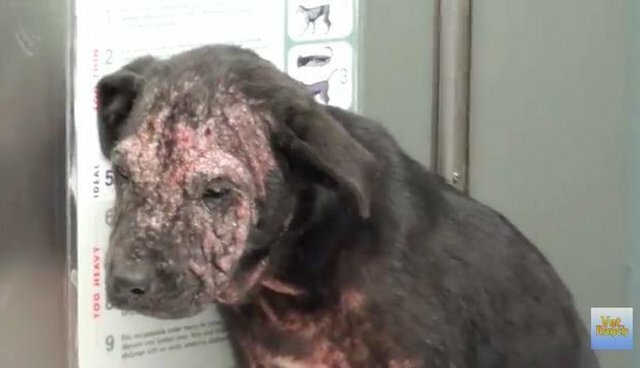 There seemed to be no hope of her being adopted, especially since the shelter didn't have the funds to get her the care she needed. 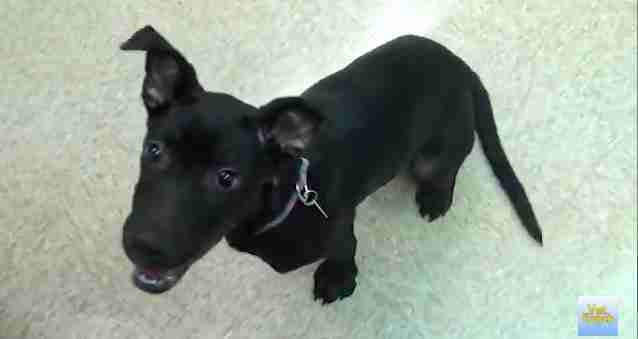 Kristy was set to be euthanized when the folks at Vet Ranch Rescue, luckily, found her. The nonprofit organization, which helps raise money for injured and ailing animals, immediately set to raising funds over YouTube to get her the medical help she needed to survive. 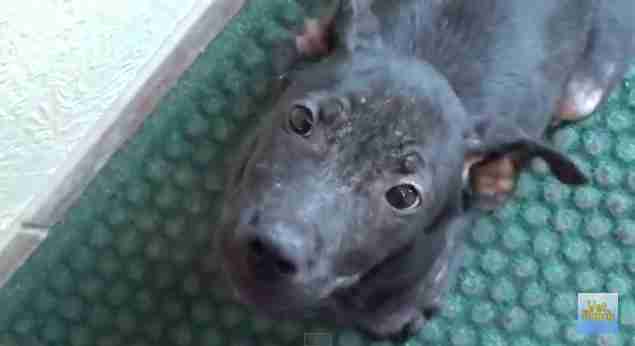 Because of the state of her skin, the vets gave her the nickname "Krusty Kristy." Kristy was terrified when she first made it to the clinic where she was supposed to receive treatment. 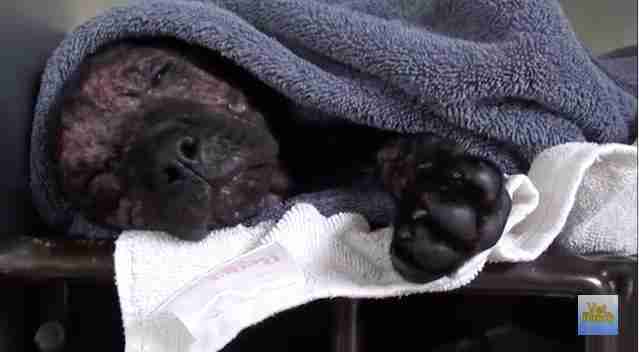 But after one bath, she was able to relax while bundled up in her brand new blanket. Slowly, but steadily, Kristy began to come out of her shell. She won over the hearts of everyone involved in her rescue, began regularly playing with the staff and has managed to make an amazing recovery. She's even ready for adoption now! If you're interested in giving this wonderful pup a home, you can now find her awaiting her forever family at The Chick With Pits. If you'd like to help cover the costs of medical care for other injured animals, you can donate to Vet Ranch Rescue through their website or follow them on YouTube. FYI, she just goes by "Kristy" now.